Neville Brand was born on 13 August 1920 in Griswold, IA. He was born to Leo and Helen Brand as one of seven children. Leo was an electrician and bridge building steel worker. Neville was raised in Detroit. After high school, he helped support the family while employed as a soda jerk, waiter, and shoe salesman in Kewanee. He entered the Illinois Army National Guard on 23 October 1939 as a Private in Company F, 129th Infantry Regiment. Enlisted in the Army as Corporal Neville L. Brand, Infantryman, on 5 March 1941, he was listed as being six feet tall and weighing 169 pounds. 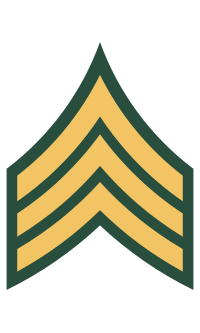 Brand trained at Fort Carson, CO, and served nine months and nineteen days in the U.S. Army in World War II seeing action with the 331st Infantry Regiment of the 83rd Infantry Division (Thunderbolt Division) in the Ardennes, Rhineland, and Central European campaigns. Brand, a Sergeant and platoon leader, was wounded in action along the Weser River on 7 April 1945. His upper right arm was hit by a bullet, and he nearly bled to death. He was discharged from the Army in October 1945. He worked on a 1946 U.S. Army Signal Corps film with Charlton Heston, and next settled in Greenwich Village and enrolled at the American Theater Wing, working off Broadway, including Jean-Paul Sartre's The Victors. He also attended the Geller Drama School in Los Angeles on the G.I. Bill. He relocated to Hollywood and started his big screen career in "D.O.A." (1950), as a henchman named Chester. His other film credits included "Stalag 17" (1953), "Return From the Sea" (1954), "Love Me Tender" (1956), and "Birdman of Alcatraz" (1962). In the 1960s, he was a regular on television and was most noted for his role as Al Capone on "The Untouchables." He also appeared on "The Twilight Zone," "Daniel Boone," "Bonanza" and starred in his own TV series, "Laredo." In a November 1979 interview with author William R. Horner for his book Bad at the Bijou, Brand admitted to battles with drugs and alcohol. Brand's personal life was complicated. He was married three times - Jean Enfield (one daughter Mary Raymer, marriage ended in divorce in 1955) and Laura Rae Araujo (married in Mexico 6 April 1957, two daughters Michelle Beuttel and Katrina, divorced in Los Angeles June 1969). His third wife was Ramona. It is possible that the marriage with Laura and Ramona overlapped. 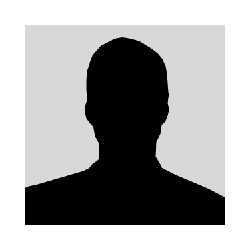 Obituaries mention a wife named Mae Brand. He was survived by a brother, Bryce; and two sisters, Barbara Byrne and Louise Turngren. Brand was also an insatiable reader, who amassed a collection of 30,000 books over the years, many of which were destroyed in a 1978 fire at his Malibu home. 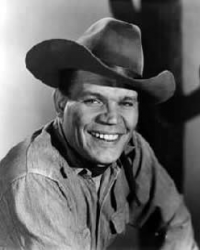 Neville Brand died of emphysema on 16 April 1992 at Sutter General Hospital in Sacramento, CA. He was cremated and his remains are interred in a niche of the Morning Glory Room at East Lawn Memorial Park in Sacramento.